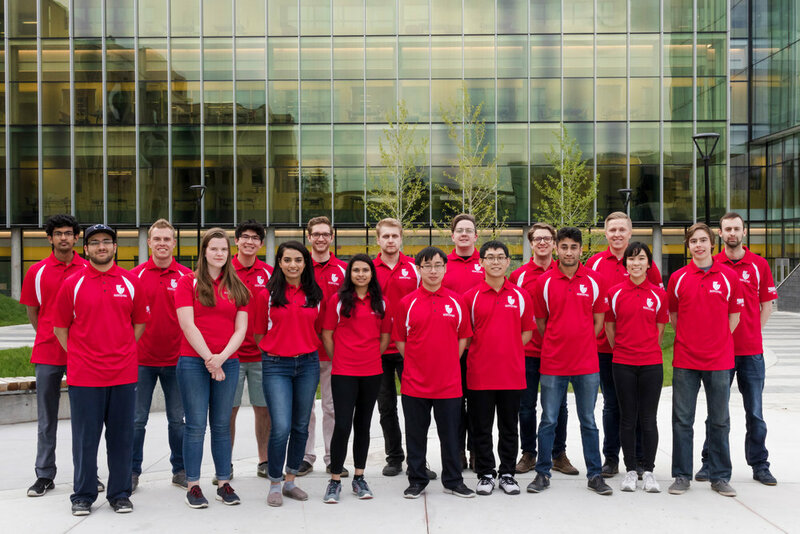 Students on Sustainability is a group of university students in Calgary working on bringing more environmental education to Alberta classrooms. Growing up in Calgary and going through the public school system, the group’s founder Patrick Duke felt as though he had received a quality education, but found climate change wasn’t thoroughly included in his schooling. Even when it was, he said, it wasn’t multidisciplinary, it was often rushed, and was usually only offered within a higher level science course. In his own education, Duke saw the effects of learning more about climate change in his first year of university. Duke enrolled in the petroleum geology program, “because my parents, my neighbors, and my friends all worked in oil and gas.” But when he started learning more about climate change in one of his first-year courses, he changed programs. “Climate change is happening and it is something students need to be informed about, so that they can think about it when picking a career for the future,” he said. 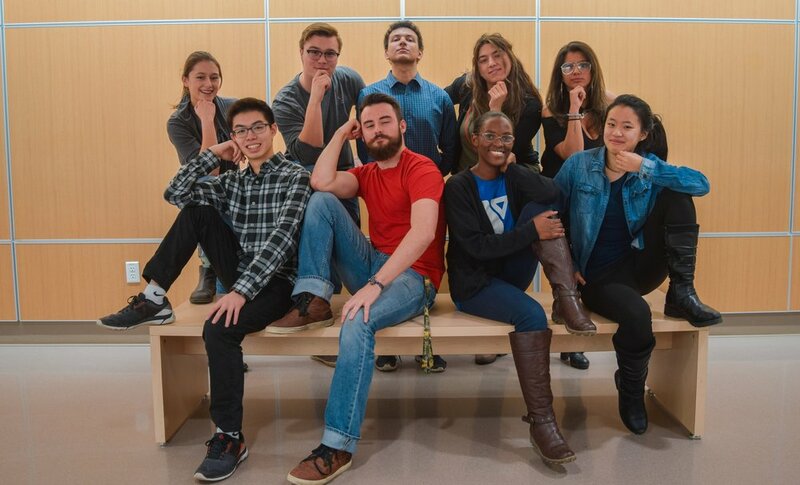 Duke founded Students on Sustainability in December of 2017, and started to collaborate with education groups to generate content that meets the regular requirements of Alberta lesson plans, but with a slight spin on sustainability. By the end of January the group had 28 volunteers trained to give curriculum-based lessons across Calgary, and hopes to soon expand their reach across the province. One group Students on Sustainability works with is the Alberta Council on Environmental Education (ACEE), which helps connect students to its network of teachers. 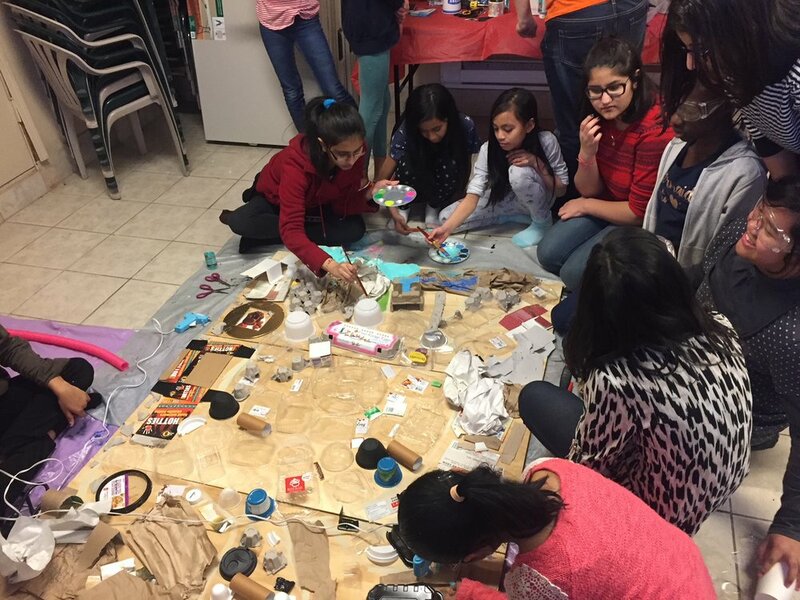 From February to June last year, Students on Sustainability delivered a total of 35 school presentations and participated in several events, reaching some 1,500 kids in their first few months of outreach. Students on Sustainability allows for younger students to learn about sustainability from a university student who is engaged and passionate about what they are doing. Duke said that this dynamic is key to their success. Learn more about Students on Sustainability, here. For more information on environmental education in Alberta, see our resources page. Teenagers may seem like an unlikely crowd to be shaping city planning, but they are proving to be key players and an important voice. CEYC has several subcommittees that deal with hands-on work and draft many of the policy proposals put forward by the youth council as a whole. The urban and regional planning subcommittee focuses on topics such as transportation, infrastructure and sustainability, with the broader aim of helping to build the identity of Edmonton and its sustainable future. This 16-member subcommittee has been pushing boundaries for three years, with projects like City Hall Solar, where it made a recommendation to council to put solar panels on city hall. The group was given the go ahead to work with city officials and engineers to determine the feasibility of this project. In the end, the group also learned not every good idea leads to an attainable project – the proposal was found to be outside of the budget due to cogeneration regulations and charges around the downtown area. 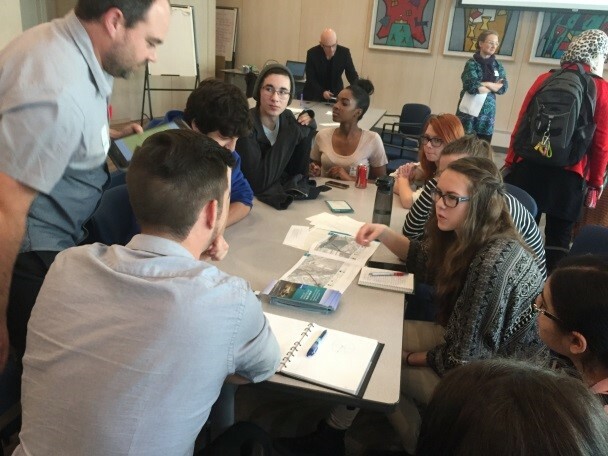 Indeed, the subcommittee recently worked with the Edmonton transit system to collect feedback from 600 youth on the city’s new transit strategy so young people could weigh in on the issues that affected them. “[If we] help make our transit system better, people won’t have to drive to all the places where they want to go,” said Kaelin Koufogiannakis, co-chair of the subommittee. 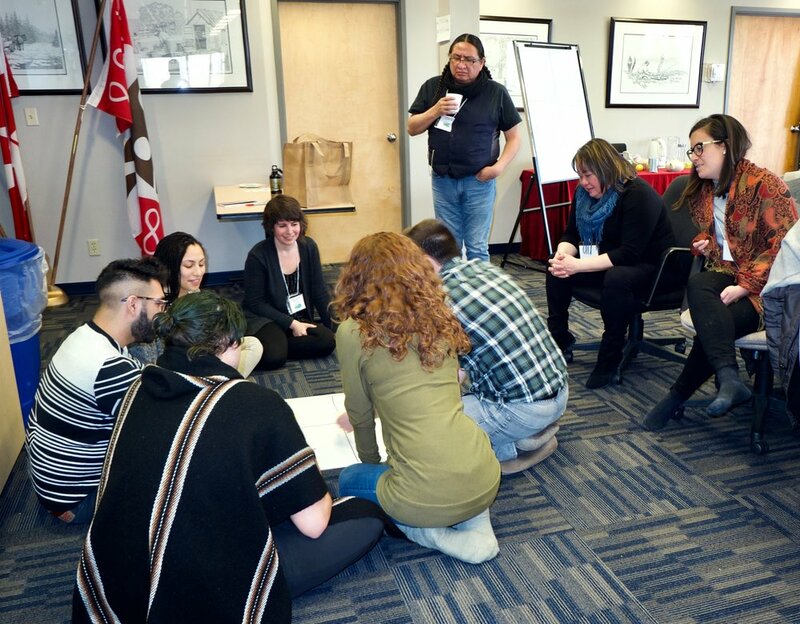 The group has also collaborated with the Change for Climate Edmonton conference to mount the “Sustainability of Tomorrow” youth speaker series, showcasing eight young adults leading their communities in sustainability. Youth are and should be taking action on these issues and making an impact in their city. While the CEYC focuses on a range of topics, Koufogiannakis said a primary aim is to show council the youth of Edmonton really do care about sustainability. “Youth are creative, innovative, and we are not buried by a bureaucratic need to check all of these boxes. So we can move things forward, add a new perspective and be an asset,” said Koufogiannakis. In the future, CEYC’s urban planning subcommittee will support the efforts of City Lab, serve as the youth advisor for the new Edmonton Master City Plan and, as always, continue to give youth an opportunity to advocate for and create projects around the urban planning issues they care about. Learn more about the City of Edmonton Youth Council, here. The Innovate Program is a way for high school students to learn outside of a traditional classroom setting and do hands-on projects based on real world problems. The students are able to take on a project of their choice and are supported by educational staff, connected to resources and provided education credits for their work. Most projects emphasize sustainable development, emerging technology, reimagining citizenship for a rapidly changing world and entrepreneurship. Aaron Dublenko, teacher at Queen Elizabeth High School in Edmonton and mastermind behind the project says, “this program assists students in developing mindsets that empower them to confidently design and implement solution oriented projects.” It also creates an opportunity for them to develop skills through hands-on trial and error and collaboration with peers and experts. Innovate provides an opportunity for students to explore their interests, creates an encouraging space to make mistakes and troubleshoot designs as well as be creative in what they produce. Here are some of the projects students created. Students and staff organized five “Green Career Fairs” in Edmonton Public High Schools. Each school hosted 30-40 vendors per fair, with a total of more than 6,000 youth learning about environmentally focused career options. Students in the Green Career Fairs program created questionnaires, informative maps, and fundraised through grants for shirts, snacks and door prizes for the events. Through this program students explore, learn and change the way energy and resources are used in their school. In the past, students installed Smart Meters in a local arena to analyze electricity consumption. Another group researched their school’s solar passivity potential, natural light, and air quality. Others have completed energy audits, thermal analysis and used DENT meters to record light use over time in their schools. They use their research to inform necessary groups and work to cause infrastructural and behavioral changes in order to reduce the carbon footprints and costs of building operations in their schools and other large buildings. 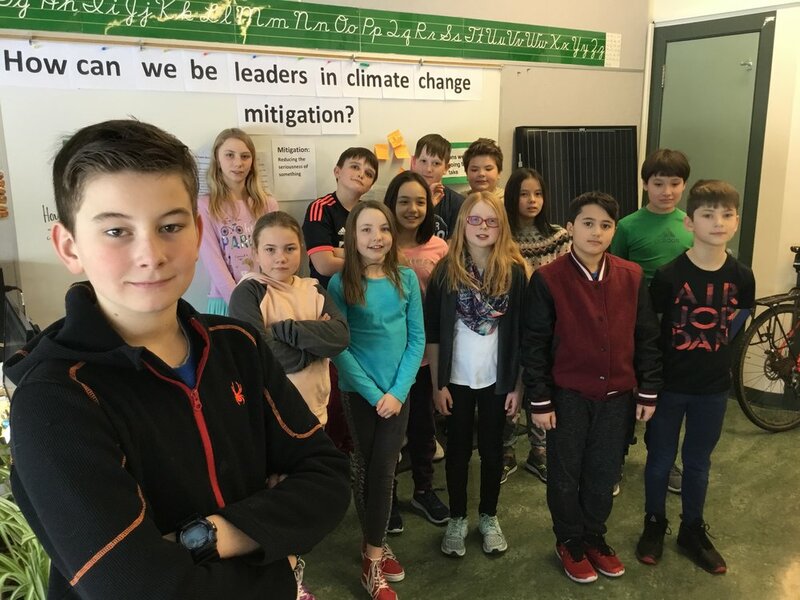 Innovate Students are creating a series of podcasts titled “The Mosaic of Youth Voices on Climate Change.” In these podcasts, students write questions and interview their peers to create discussions about climate change and their future in Alberta. In collaboration with Edmonton’s historian laureate, the students are working to strengthen and illuminate the youth voice on climate change, as well as generate discussion about these topics among their peers. “At the Gener8 Youth Energy and Climate Summit, we have students from all over Alberta learning with and from experts on energy and climate change. At the end they will go back to their schools and communities and effect change,” says Steve McIsaac, executive director of Inside Education. In the “Energy Dialogues” session, 16 experts in solar, wind, oil and gas, parks, air quality and climate change came together. Students got to pick seven tables they would visit to learn from and pick the brains of the experts in 10-minute sessions. It’s high-energy and very intense for both presenters and students. Part of the take-away is for students to undertake an action when they go home. “While we do provide some parameters, it’s student-directed and student-driven. Afterwards, students have done everything from upgrading toilets in their school’s staff room, to conducting stream bank rehabilitation after the 2013 floods, to installing solar panels on their school rooftops,” says McIsaac. Former Medicine Hat High School student Jasveen Brar’s experience at Gener8 inspired her to study sustainability when she enrolled at Dalhousie University. She got involved with Students on Ice studying climate change in the Arctic and Antarctic and a few months ago took a group of students to the United Nations in a follow-up project. “It wasn’t until I visited Antarctica that I realized I knew so little about how the world works, and the real impact that we, humans are having on the planet,” Brar says. “In 2016 we directly connected, in classrooms and field trips, with 23,000 young people, ranging from Grade 4 to Grade 12. Two hundred teachers participated in our teacher professional development programs and 500 students participated in our youth summits,” says McIsaac. In professional development programs Inside Education takes teachers to wind farms, the oil sands and elsewhere to provide hands-on experience. Other Inside Education student alumni got involved with the Centre for Global Education. That’s the same program where students wrote a white paper that was delivered at the Paris Climate Change Summit by Premier Rachael Notley. More recently, students prepared a white paper on climate change education and the programs schools can undertake to take action on Climate Change. McIsaac says one of the differences in students these days is they don’t want to wait until they graduate to make a difference – they are taking action now. Dan Lafferty is the owner of Relight Solutions, a company that specializes in installing energy efficient lighting in commercial and multi-residential properties. The company is based out of Vancouver, but has recently expanded to Alberta with hopes of going further. It currently employs five people in the province, with backgrounds ranging from industrial electricians to electrical engineers. Relight is currently working on a project at Tempo School, a private school in Edmonton. The school has older lights and wanted them to last longer, not only to reduce energy costs but also to reduce the maintenance costs of having to regularly replace the old lights. Relight designed a project for Tempo School that includes installing new LEDs with daylight controls that turn off the lights when there is sufficient sunlight entering through the school’s skylights. 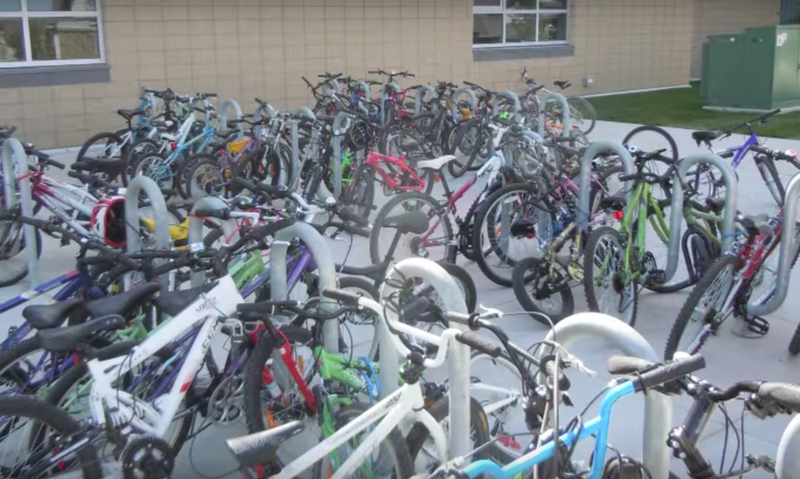 The school will receive a rebate of $11,500 through the Energy Efficiency Alberta’s Business, Non-Profit, and Institutional Energy Savings Program and expects the annual energy savings from the project to be $13,500 per year. With an additional $8,000 of lighting maintenance cost savings per year, Tempo School expects to earn back its upfront investment in just three years. Lafferty sees energy efficiency as an integral part of the new energy economy. According to him, Canada is a resource rich country and he wants us to use our resources more efficiently. He says that up to 40% of commercial building energy use can come from lighting. And if we reduce that by 50% through energy efficiency, it reduces overall energy consumption by 20%. This reduction means that we will have 20% less emissions to address in the future through other mitigation methods. Lafferty comes from a business background and it was his experience working for a tech company that developed energy-monitoring software that got him interested in energy efficiency. He decided to start a company focused specifically on energy efficient lighting because lighting improvements have a very quick payback – typically two to three years in the projects Lafferty has been involved in – and he sees a lot of room for growth in the industry due to the massive building stock with inefficient lighting. Plus, electricity costs are rising while the cost of the efficient light bulbs and other energy efficient technologies is decreasing. Energy efficient lighting is the “lowest hanging fruit to make drastic changes to our consumption as a society,” says Lafferty. One reason Lafferty expanded his business into Alberta was because of the Alberta government’s energy efficiency rebates. He thinks that by providing a lucrative financial incentive, the market will adopt technology more quickly. In his opinion, a lot of our environmental problems aren’t from a lack of technology, but a lack of adoption of technology. Providing financial incentives allows for quicker adoption of that technology. Check out the Relight website here.